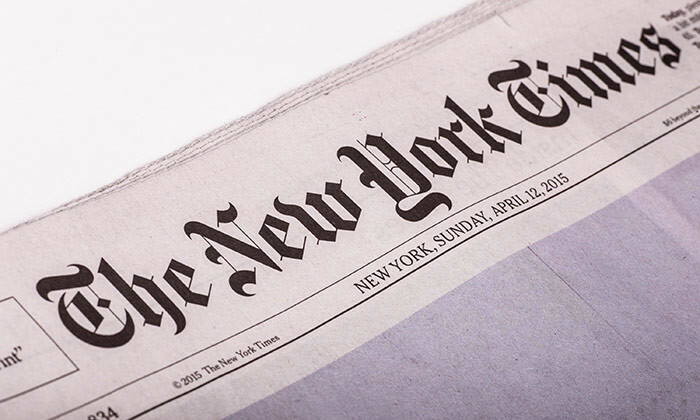 A multi-million dollar class action lawsuit against The New York Times (NYT) CEO, Mark Thompson, has been filed for alleged ageism, racism and sexism in the workplace. According to an article by The Guardian, the lawsuit was filed on behalf of two black female employees in their sixties in New York on Thursday. The ladies claim that under Thompson’s reign, the company has “become an environment rife with discrimination”. The lawsuit alleges that the paper preferentially favours its “ideal staffer (young, white, unencumbered with a family)” at the expense of older female and black employees. “Unbeknownst to the world at large, not only does the Times have an ideal customer (young, white, wealthy), but also an ideal staffer (young, white, unencumbered with a family) to draw that purported ideal customer,” The Guardian stated, quoting the lawsuit. The Guardian also included a statement by Eileen Murphy, the Times’ head of communications, who denied the allegations. The claimants of the lawsuit, Ernestine Grant, 62, and Marjorie Walker, 61, who work in the Times’ advertising department, dispute this. They claim that the company’s advertising directors, who had previously been a mix of races and ages, have become “increasingly younger and whiter”. “Older advertising directors of color found themselves pushed out through buyouts, or outright terminated, but those vacancies were rapidly filled with younger, white individuals,” The Guardian quoted. The claimants stated they were repeatedly passed over for promotion by younger white employees despite their greater experience. They also claimed that “younger white individuals” at the same level as them are paid far more than they are. In addition, they claim they were “denied the opportunities to earn as much as [their] younger white peers because of her race and/or gender”. Is Yahoo CEO Marissa Mayer's leadership style really effective? And there are also a few surprises in the most-improved category, with airlines featuring prominently..
Human Resources is delighted to confirm Alexander Mann Solutions as the next sponsor for the upcoming Talent Management 2013 confe..